Building on its Qdos series of chemical metering pumps, Watson-Marlow Fluid Technology Group is introducing a version for mobile and remote applications that can be powered by a 12-24V DC power supply. The latest Qdos pump will aid any user requiring a precise, closely-controlled metering pump where mains power is not readily available or practical to use. Qdos pumps boost productivity and cut chemical wastage via more accurate, linear and repeatable metering than conventional solenoid or stepper-driven diaphragm metering pumps. As a result, Qdos users can reduce chemical costs even when metering difficult fluids, or when pressure, viscosity and solids content vary. This capability combines with peristaltic technology to ensure precise, continuous, smooth flow for optimal fluid mixing. 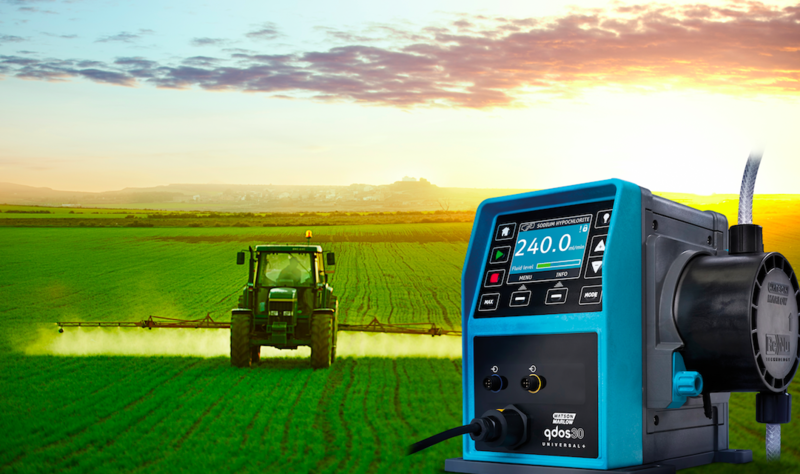 Suitable for both remote static and mobile battery-powered applications, typical uses of the new 12-24V DC version include agricultural seed coating and crop irrigation, remote water treatment/sampling, potable water refining and on-truck pumping operations, to list just a few. For very remote applications, the pump is able to run from batteries that can be recharged via solar cells, other renewable energy sources or split charge relays. The product is reliable, self-contained and does not require any additional components.